The fallopian tubes are extremely important in the process of getting pregnant. Your fertility specialist at DFW Center for Fertility & IVF can evaluate your condition and determine if part or all of the problem may be related to tubal blockage. The fallopian tubes on either side of the uterus originate in the uterine cavity and end very near the ovaries. Their main function is to capture your egg and allow it to be fertilized. After fertilization with sperm, the newly developed embryo must travel through the fallopian tube towards the uterine cavity, where it will eventually implant. Of course, anything that affects the tubes will have an impact on fertility. 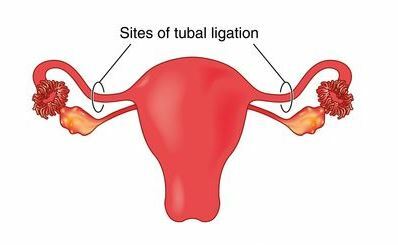 Tubal blockage can result from several causes. Endometriosis may cause scarring that can lead to tubal blockage. Prior abdominal and pelvic surgery may also result in scarring that affects the tubes. Pelvic infections, specially sexually transmitted infections from chlamydia or gonorrhea or a more severe form of these infections called pelvic inflammatory disease (PID) can cause tubal blockage. Dr. Beshay will discuss your medical history in detail with you, as well as recommend ways to assess the condition of your fallopian tubes. If blockages are found, he can explain all the corrective treatment options available at our Allen fertility clinic. For example, laproscopic surgery is a common approach to further evaluate fallopian tubes and potentially reopen them to allow natural conception. In vitro fertilization is an alternative way to conceive in cases where tubes cannot be repaired. This procedure in essence bypasses your tubes. There are risks and benefits to any type of tubal procedure, and Dr. Beshay will discuss with you the one that is most beneficial to your situation. To schedule an appointment, contact us online or call 469-854-0305.